Hand dispenses rolls no dispenser needed. Double sided quick stick tape, invisible bond line. Adhesive resists higher temperatures and harsher environments. 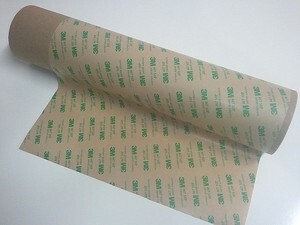 High strengths clear acrylic adhesive with tan paper liner.